Gail Walker: Who would have thought that Primark building could hold so much of all of us inside? You know that it is important because still they come. Groups of office workers on their lunch break, housewives, startled tourists, gaggles of schoolgirls on the last days of the summer break, young men with baseball caps, elderly shoppers setting their bags on the pavement, and all looking up at the burnt-out shell of the Bank Buildings. And it is a shocking and slightly surreal sight - the grand frontage still somehow surviving, defiant almost, and then nothing behind but the onrush of blue. That's the frightening thing, not the odd bit of debris but the nothingness of sky. A building that contains the sky, clouds visible where there had just now been ranks of reflecting glass windows. It's become like one of those psychological puzzles, unsettling, unreal somehow and profoundly bothersome. But - try to suppress them or not - there are other resonances; the Primark building looks like one of those colourised documentaries on the history channels. The London blitz, Dresden, Berlin in its last days. The comparison is, of course, ridiculous - that's why we try and suppress it. No one died or was injured and for that we should give thanks. But what happened last Tuesday - on a small scale, admittedly - was destruction, total and utter. And, of course, photos of the shell itself, the facade still there, the metalwork of the clock somehow surviving. 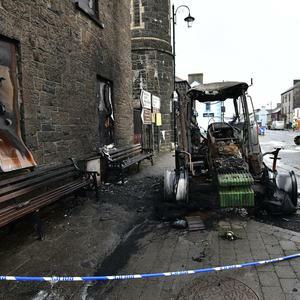 People gather partly so they can have their share in the incident, be close enough to touch a bit of charred history. Cynics may confuse it with rubbernecking, but it's something more profound I think. There seems nothing prurient and trivial about the 'pilgrimages' to that corner of Royal Avenue and Castle Street. They come to be part of something larger - history, call it what you will. Already the air is thick with Bank Buildings stories. We may not know much of the history of our city, but we knew the Bank Buildings was (or, rather, hopefully is) historic. The first building on the site was erected in 1785 and in 1855 that old Georgian edifice was demolished and the familiar four-storey, seven-bay Italianate building was erected in its place. But the Bank Buildings also spoke of a greater history - of Belfast as a centre of manufacture and commerce and one of the great cities of Europe. In its wake we had our merchant princes who have left an indelible mark - Anderson & McAuley, Robinson & Cleaver, Brands & Norman. They marked their prosperity in brick and stone and, in a humbler way, put their name among the likes of Harland & Wolff, the Belfast Ropeworks, York Street Mill. Steeped in history, our city is, paradoxically, increasingly denuded of a sense of the past in its physical environment. In spite of local bombers and the Blitz, the dubious credit for the stripping away of much of our historic architecture belongs to generations of planners. There is a very long list of familiar buildings which were 'disappeared' almost overnight - The Ice House, the Hippodrome, the Grand Central Hotel/the Old Post Office, North Street Arcade, (and the Victorian buildings of North Street - more or less rendering one of our most historic streets an urban wasteland), the Metropole, Orpheus buildings, the row of houses facing Queen's University where the hideous Students' Union is now being demolished. The Dublin Road dates almost entirely from the 1990s. A brand of 21st century construction is creeping relentlessly up Great Victoria Street and outwards across the city ... we all have our cherished victims, familiars suddenly stripped away. Of course, we can point to progress - the wonders of Victoria Square, the Titanic Quarter, the whole Laganbank project, the burgeoning Cathedral Quarter have transformed the city for the better. With the gain, however, comes a sort of loss. Belfast looks like many a dynamic city worldwide, but there is less room for the local, the idiosyncratic, the dreams of local magnates made manifest in brick and stone. 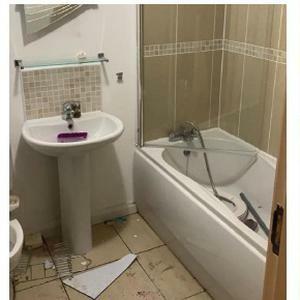 We are all reaping the rewards now of the completely merciless prejudice against inner city dwellings which dominated the 1980s - empty streets, vanished communities, poor amenities, even as the tide has turned again and cities want their people back, living and rearing families in the very centre. Bank Buildings represents a very visible touchstone of familiarity. But, as has been noted, it's not the history of magnates, bishops and grand events which 'ordinary people' are mourning now. Rather it's the countless individual memories which gather around the Bank Buildings. Like all great constructions, it touched our lives in a thousand ways. Is this not the ambition of every architect, of every town planner? That something designed and built can set itself right inside the lived experience of those who work in it, around it; that it becomes an integral part of our memories? 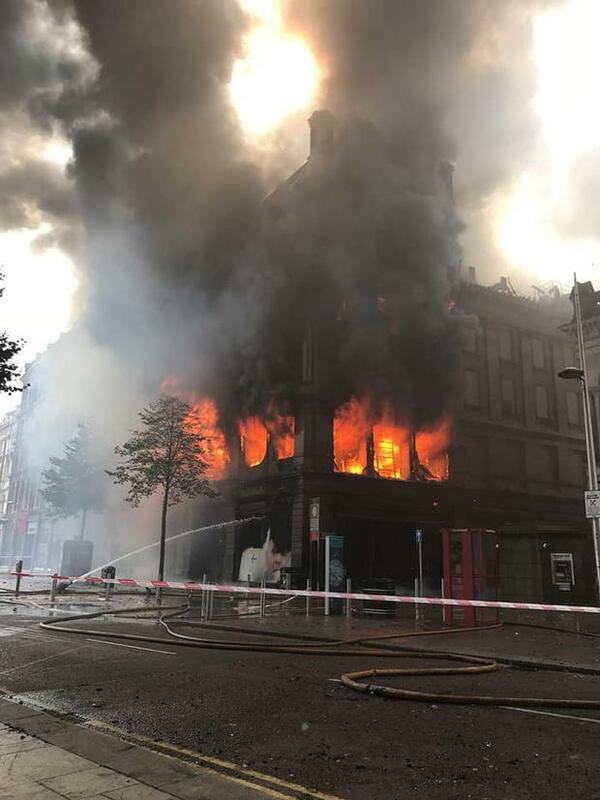 What has happened, I think for good, is that the dramatic loss of the Bank Buildings has reawakened in all of us a sense of our immediate environment. In the end and after all, despite the flaws of its history, the challenges of its industries and its often violent streets, we actually like this city. Historically, we made the fabric of Belfast pay a high price for our own inabilities to live together in it. 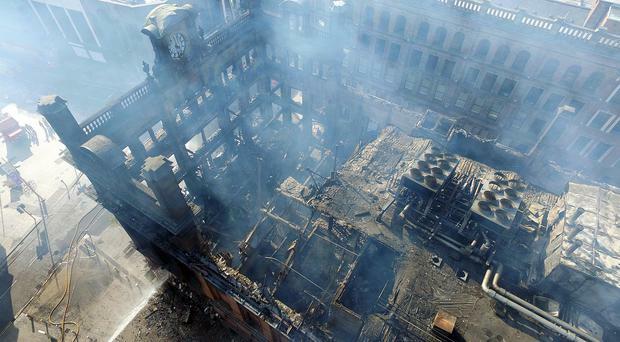 Bank Buildings itself survived an IRA bombing in 1975. 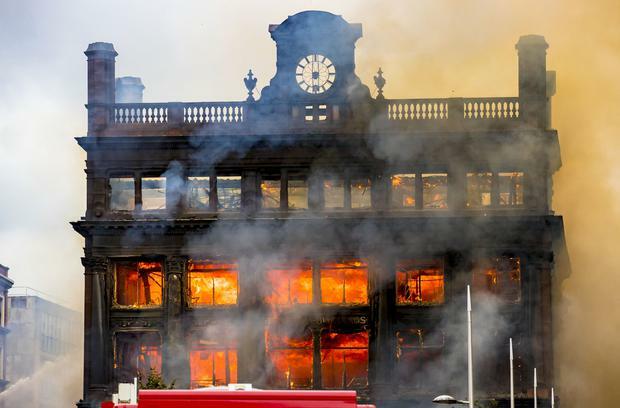 But after last week's fire, it is clear whatever grudges we hold are not against Belfast's familiar grandiosity on the one hand or its odd cheap style on the other. It was the foundations of our affections that were shaken by chance and circumstance, when the ravenous fire took hold. Who would have thought that one building could hold so much of all of us inside? If the sense of how important our fragile surroundings are in terms of how we think of ourselves is one of the things the ashes leave us, then maybe, just maybe, the savage destruction of the interior will not have been entirely in vain. Give us our Bank Buildings back and, from now on, let us take much better care of our city.